Comment: Can China really lead the world in fighting climate change? - Unearthed Comment: Can China really lead the world in fighting climate change? Now, just as the Trump administration quits the Paris climate agreement, another major development is underway in China, but one that seems to originate from policymakers themselves. Discussions in Beijing suggest China is moving into a global climate leadership position. “China will stay committed to upholding and promoting the global governance on climate change, and take an active part in the multilateral process on climate change,” Hua Chunying, a foreign ministry spokesperson, said the day before Trump’s announcement. China’s past climate initiatives were realized in close cooperation with the United States. In 2015 the country’s diplomats were key to crafting the Paris Agreement. The subsequent year, China used its G20 presidency to ensure the treaty’s entry into force with unprecedented speed. Yet only three months into Trump’s tenure, China’s policymakers are looking to assume a more assertive role at the table — a space now cleared by Trump’s move. If Xi Jinping’s high-profile Davos speech was a defense of hard-fought climate cooperation, then a recent UN speech, which clearly received the top leader’s blessing, can be seen as the outline of an all-out climate leadership campaign. Delivered by Liu Jieyi, China’s ambassador to the UN in New York, the speech underscored the nation’s support for the full and effective implementation of the Paris Agreement. Liu pledged that China’s emissions would peak “by” 2030 instead of the previously committed “around,” an important step forward from China’s Nationally Determined Contribution (NDC). In a gesture of multilateral diplomacy, Liu offered to provide “China’s proposals” to bridge divergent national positions on some of the most contentious issues at this year’s UN climate negotiations. Moreover, China’s domestic climate policies have shown leadership potential in their own right. The country’s carbon emissions have stalled for three years running, and in 2016 approval of new coal-fired power plants dropped by 85 percent. 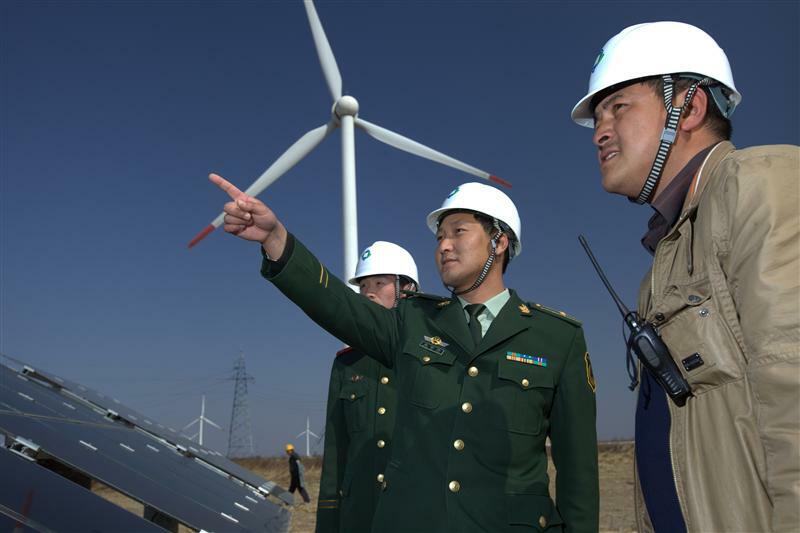 China is investing in renewable energy at a record-shattering pace and currently occupies the number one spot for wind and solar capacity worldwide. But Beijing’s aspiring climate leaders must reconcile outdated rhetoric with increasingly ambitious actions. In a country that has long been dominated by the strategy “hide our capabilities and bide our time,” plotting a map for global climate leadership is an ambitious endeavor. And while China’s climate vanguards continue to seek progress at home, they must simultaneously help the country to fulfill its leadership potential abroad. China’s efforts have been countered with skepticism. The country’s citizens still endure choking smog, and it is by far the largest carbon emitter on the planet. Though the nation’s domestic coal fever seems to have broken, Chinese companies continue to finance coal plants overseas. But encouraging China’s climate leadership consists of confronting these problems and of utilizing a willingness to seek leadership as an incentive for change. As U.S. climate initiative wobbles, the mercury level will only continue to rise. Meanwhile in Beijing, it has become clear that climate leadership is no longer a question of “whether,” but one of “how.” Conversations between Chinese policymakers are increasingly focused on strategies for realizing the nation’s diplomatic potential. China’s 2011 airpocalypse was a tipping point for the nation. Flights were grounded due to smog, children hospitalized, and it became clear that the country’s growing middle class wanted solutions. In 2017, the global community has likewise reached a crisis point, with one of the world’s climate leaders fleeing the negotiation table. But current discourse in Beijing shows that China’s policymakers are searching for opportunities to lead by example. As China considers how to take on a greater climate leadership role, it’s up to the rest of the globe to encourage this potential. A previous version of this story appeared in The Diplomat.